This is an awesome way to create a poem. I have never heard of “Erasure” poetry before. 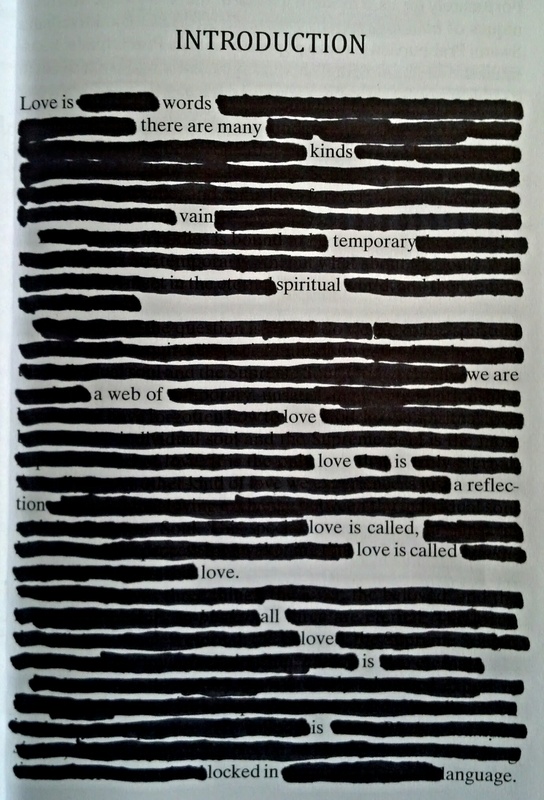 What types of things do you use to create your erasure poetry? Books, articles, newspapers? This is an interesting way to create poetry. Very nice. Also, I love the simplicity/complexity of the poem itself. There are simple words we all know, but there is complexity in the meaning of love. I feel like love is more than merely “locked in language,” but this poem shows how love can be shown through words. Was there something that inspired you to do this type of poetry, or something that made you want to “write” about love specifically?